We have now completed al-Fatihah and move on to the Quran recitation after it. Did you ever notice that any Quran recited in Salah is always recited when we are in the standing position? We do not recite al-Fatihah or any other Surah in the sitting position, nor during our Ruku [bowing], nor during ourprostration. Why? 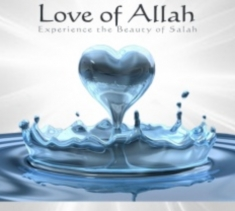 'Love of Allah - Experience the beauty of Salah'. From the 1st of May 2013, you will be able to order your FREE COPY worldwide insha-Allah from our website. We will be uploading daily extracts from the Book between 8-9pm every day till 14th April insha-Allah.